Toggle navigation What would you like to do today?  BWB is a multi-award winning engineering and environmental design consultancy with a proven reputation for technical excellence and exceptional Client satisfaction. We are entrusted by a diverse range of public and private sector Clients to deliver increasingly complex and challenging projects across the UK. We take great pride in delivering our projects on-time, within budget and in an environmentally sustainable manner. More than that, we’re always ready, when appropriate, to challenge convention to deliver enhanced value for our Clients. BWB’s integrated, multi-disciplinary capability enables us to plan, design and deliver successful projects across a broad spectrum of development sectors. Our highly professional and personable service, delivered by talented people with a passion for excellence, ensures Clients consider BWB to be their valued and trusted advisor. In 2017 BWB became part of the global transport engineering giant CAF Group. The transaction gives BWB greater financial resilience and stability and through CAF Turnkey Engineering access to an even deeper pool of resource and expertise. Together BWB and CAF will be able to play a leading role in digital engineering, Smart Cities, and colossal investment in infrastructure, not just here in the UK but across the world. Find out more about the CAF Group. We are now the Consultant of Choice for a growing portfolio of major Clients. We're exceptionally proud of the significant impact that our expertise has had in shaping the built and natural environment over the past 25 years. We're equally proud of our established and hard-earned reputation for pragmatic, value-driven and technically strong consultancy services. We continually strive to develop and maintain good relationships, not only with our Clients, but also with the numerous stakeholders involved in the planning, design, procurement and construction of development projects. As an Employer of Choice, accredited by Best Companies and Investors in People Platinum Standard, we are passionate about ensuring that BWB remains a great place to work. We continuously strive to create a working environment that encourages and enables our talented and ambitious people to develop creative and innovative solutions to complex challenges. We are genuinely committed to our people becoming the best they can be and provide award winning learning and development opportunities that enable them to achieve valuable professional and personal fulfillment. Join our growing team of talented, ambitious and highly skilled professionals.